On October 5, 2018, local Workforce and Economic Development organizations join forces with area school boards and industry to organize the region’s 6th Annual MFG Day – a North American wide initiative aimed at sharing technology and career opportunities in modern manufacturing with high school and elementary students. 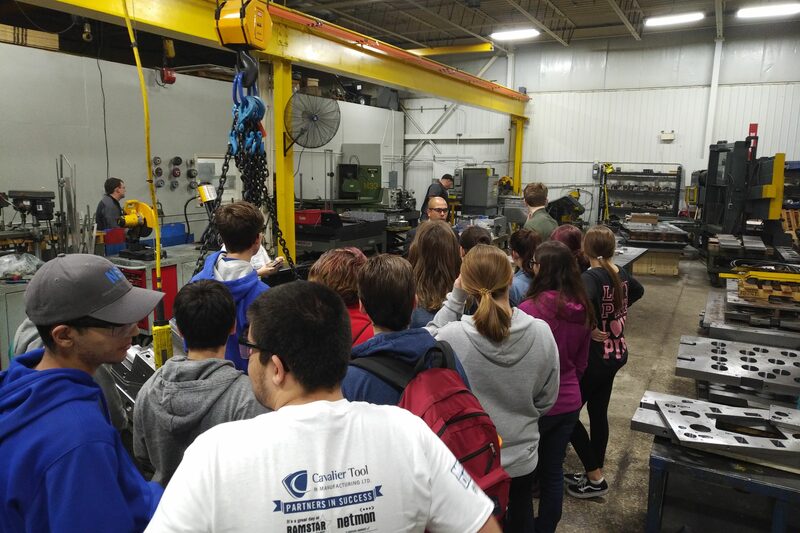 The tours took students around shops and plants throughout the region to experience a day in the life, ask questions, and engage in hands-on activities like creating a 3D scan and welding. 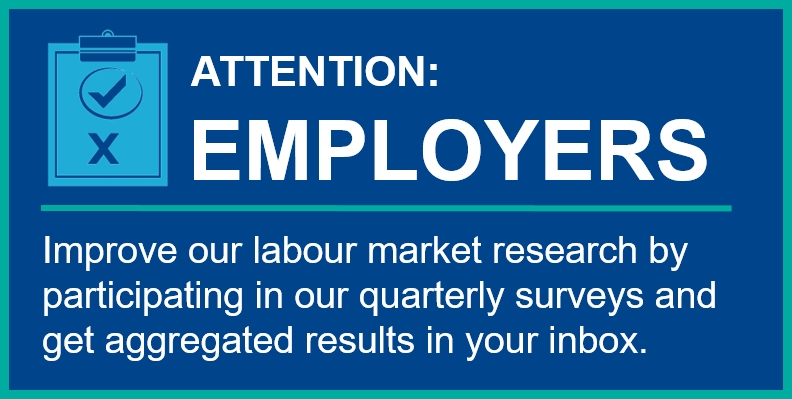 Thank you to the participating employers, including A.V. 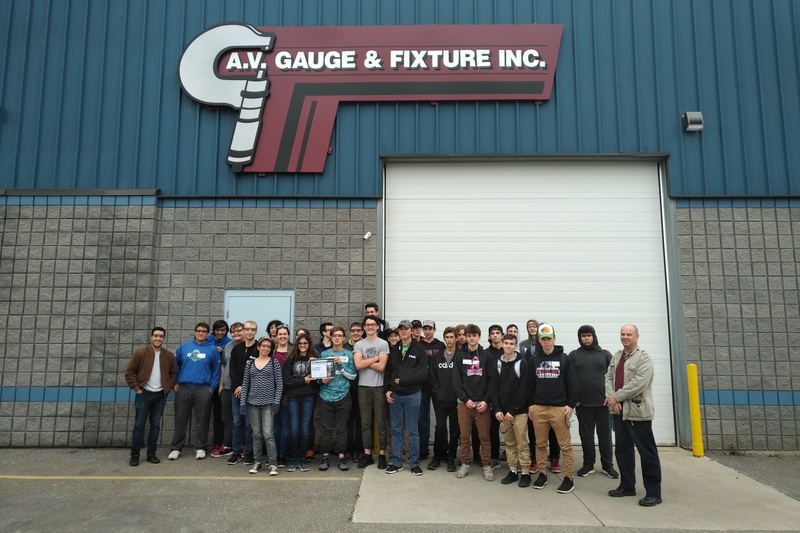 Gauge & Fixture Inc., Anchor Danly, Cavalier Tool and Manufacturing Ltd., Highline Mushrooms, JD Norman Institutes Inc., Laval, Mucci Farms, Lakeshore Fixtures, Nature Fresh Farms, Reko International Group Inc., South Essex Fabricating, St. Clair Skilled Trades Regional Training Centre, UE Enclosures, and Windsor Mold Group. 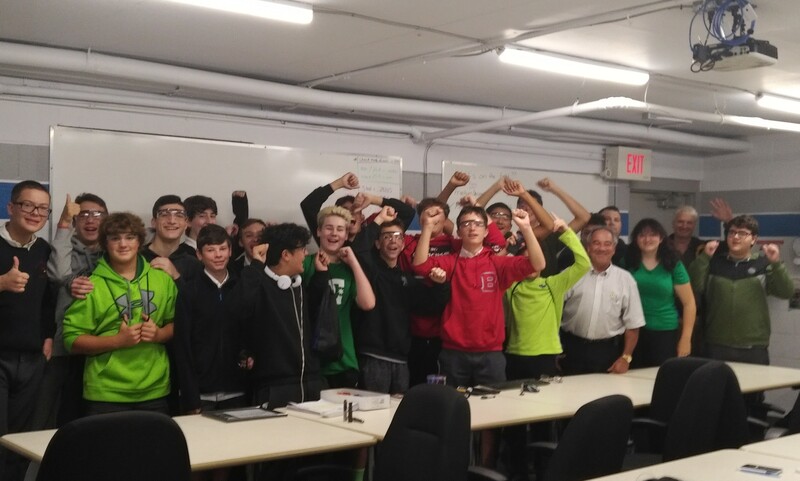 We would also like to thank the region’s school boards for participating in Manufacturing Day 2018, including the Greater Essex County District School Board, the Windsor-Essex Catholic District School Board, Conseil scolaire Viamonde, CSC Providence, and A21 Academy. 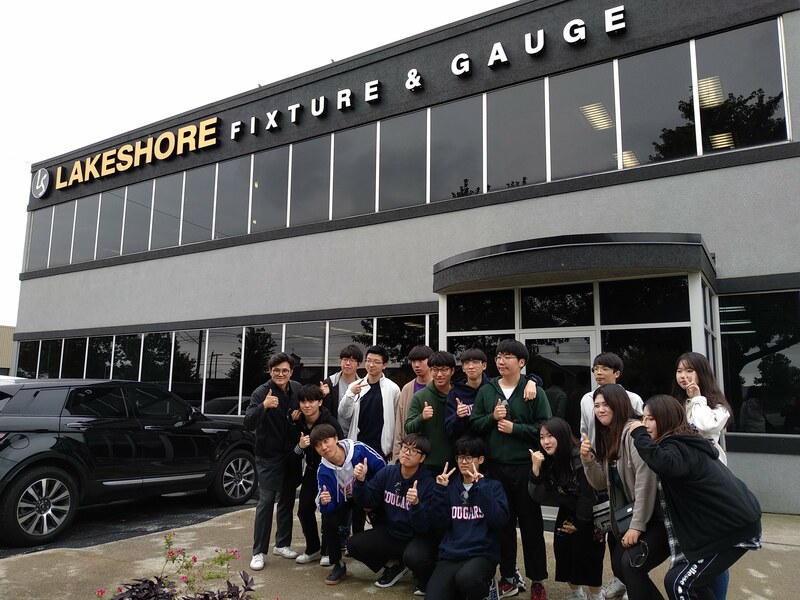 Caption: École secondaire l’Essor students toured A.V. 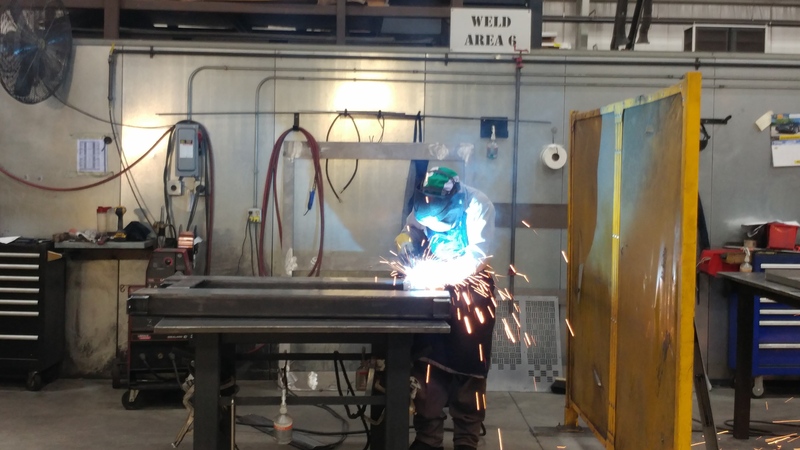 Gauge & Fixture Inc.
Caption: A worker from UE Enclosures is seen welding during the A21 Academy tour. If you are an educator or employer who would like to participate in the upcoming Manufacturing Day, please contact info@WorkforceWindsorEssex.com.